Situated five minutes from exciting Playa del Carmen and a short 35-minute drive south of Cancun International Airport, the world's second largest barrier reef lies just offshore, while underground rivers, caves and jungles lure adventure-lovers. Bordered by sugar-white beaches and the brilliant, crystal clear Caribbean Sea, this Preferred Club, Unlimited-Luxury, adults-only oasis truly embraces beauty and splendor. Each Unlimited-Luxury stay embraces the concierge-style experience with included top-shelf spirits, 24-hour room and concierge service, daily refreshed mini-bar, complimentary greens fees, and more to raise your getaway to the next level. 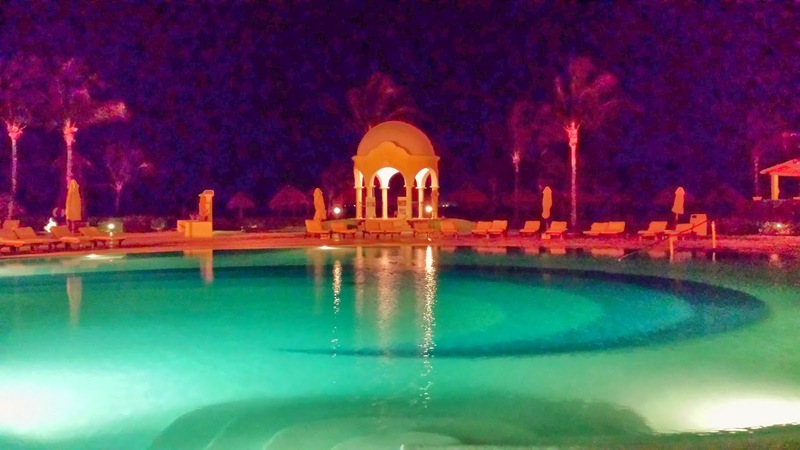 Secrets Capri Riviera Cancun has received special recognition from the esteemed readers of Cond Nast Traveler Magazine as the second resort in Mexico and AAA as a Four Diamond Award resort. Secrets Capri Riviera Cancun was awarded the Best for Romance and Best Luxury-World by the 2008 TripAdvisor.com Travelers' Choice Awards. Secrets Capri Riviera Cancun a Preferred Club, concierge-style resort invites you to relax and reconnect in a world steeped in colorful Mexican splendor and history. As a AAA Four Diamond Resort, Secrets Capri promises a vacation like no other with exceptional services, breathtaking beauty and the privileges of Unlimited-Luxury. Escape to a world thoughtfully created for couples and adults to anticipate you every desire and seduce your senses. Embrace our sensuous world of Unlimited-Luxury, where everything is included, with our all-new Preferred Club, concierge-style resort. Share our spectacular Caribbean scenery. Rejuvenate in world class spas. Pamper yourself with 24/7 concierge and room services. Indulge in our many gourmet restaurants. Dance the night away under the stars. 290 Luxurious guestrooms and suites offer the elegance and opulence of a Mexican Hacienda while embracing you as a treasured and most privileged guest. Your comfort is paramount at Secrets Capri with a concierge on every floor attending to you with personalized care and attention. Introducing the Unlimited Connectivity App Suite. Get free Wi-Fi and free calling while at resort as part of Unlimited-Luxury - no additional cost, no VIP upgrade and no Preferred Club room necessary. Download each brand`s mobile app on your smartphone, tablet or mobile device and experience everything Unlimited Connectivity has to offer, without international roaming charges, fees, or service upgrades. Get Personal: Book spa appointments, plan romantic dining, contact staff members, make special requests, and more. Get Informed: Check resort map, restaurant times, menu offerings, facility schedules, and activities calendar. Stay in Touch: Create user profiles to keep in touch with other guests at resort. Stay Social: Update your status on Facebook and Twitter. Room Phone To Go: Register your room number to make and receive calls - just like having a portable room phone! Vacay Your Way: Explore the local attractions, get deals and book excursions. Don't have an iPhone, Androi or BlackBerry? No problem! The Unlimited Connectivity Apps are also accessible as websites, viewable on your smartphone, tablet, or computer. 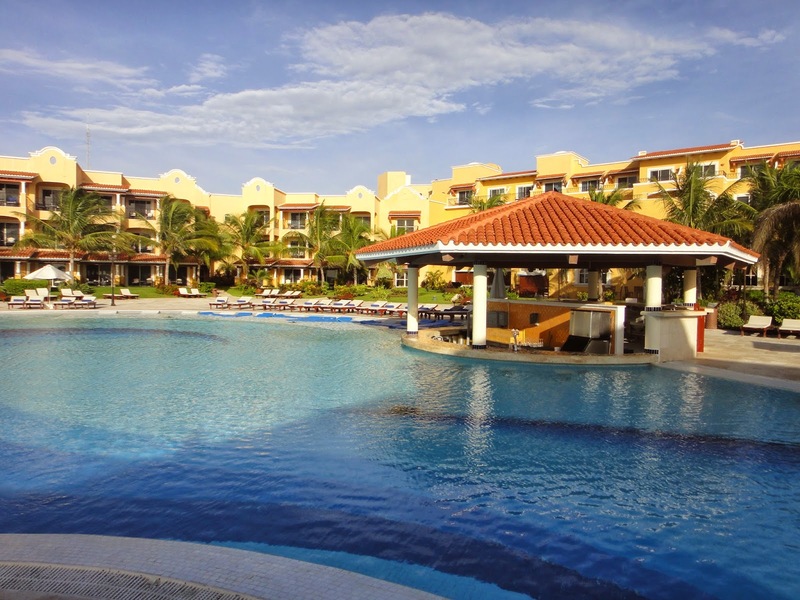 Secrets Capri Riviera Cancun stands well apart from the ordinary all-inclusive. No buffet lines, house brands or overbearing staff. Instead, a la carte service of the finest food and beverages, a superior selection of amenities and a team of professionals who make your comfort their only concern. Savor a fusion of flavors in 6 restaurants (4 air-conditioned), gourmet, a la carte restaurants offering Mediterranean, Continental, Seafood and Pan-Asian cuisine. Our chefs use the freshest local ingredients and the finest imported delicacies to make every meal a true culinary experience. Your gourmet meals will be accompanied by premium brand wines and spirits. Of course, 24-hour room service is also available. All restaurants feature smoking and non-smoking areas; No reservations required! Humitsu Offering guests a fusion of Pan-Asian and Hibachi la carte delicacies, the Himitsu is open for dinner only with a Casually Elegant dress code. Oceana Enjoy fresh la carte seafood presented in a quiet and romantic seaside setting. The Oceana is open for dinner only with a Casual dress code. Portofino Explore the flavors of the Mediterranean with delicious Italian favorites served each evening. Portofinos dress code is Casual Elegance and is available for dinner only. 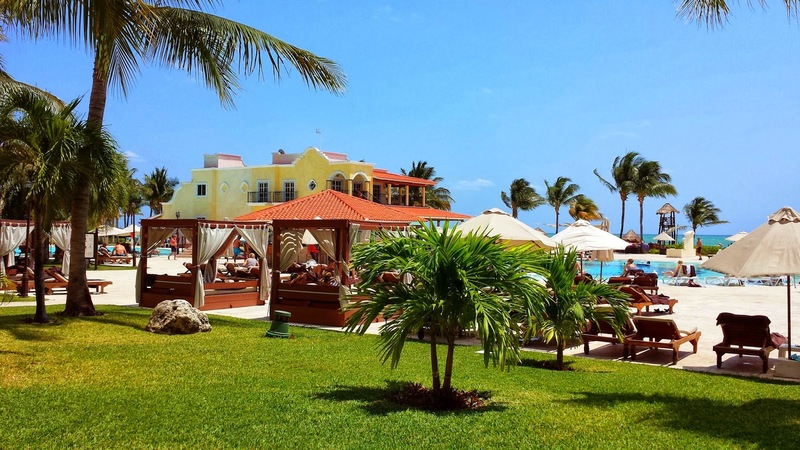 La Riviera Enjoy Mexican cuisine with a variety of international specialty items and classics for breakfast and lunch. Offers a variety of theme nights for dinner. La Rivieras dress code is Casual. Seaside Grill Located directly on the beach, Seaside Grill offers a variety of light snacks, full meals and la carte Caribbean steaks during the evening. Seaside Grill is open for breakfast, lunch and dinner with a Casual dress code. Cactus Club Taco and Ceviche Bar Located beachside, the Cactus Club Taco and Ceviche Bar offers up various types of Ceviche and famous shrimp and fish tacos. Cactus Club is open during the day with a beach/pool dress code. As part of the privileges of Unlimited-Luxury, were offering guests of Secrets Capri Riviera Cancun the chance to Sip, Savor and See Secrets Silversands Riviera Cancun, Secrets Maroma Beach Riviera Cancun and Secrets The Vine Cancun as well as all Dreams Resorts and Spas and Now Resorts and Spas in the area. Enjoy dinner and live entertainment at neighboring resorts including sipping complimentary cocktails, savoring delicious cuisine at the restaurant of your choice and the opportunity to see that evenings entertainment. Manatees Bar Guests can relax in the sun or shade at the swim-up bar while enjoying cool cocktails, juices and soft drinks. Wait service is provided on the pool deck. Desires Lounge bar Dance the night away and sip premium cocktails at the chic Desires Music Lounge. The Lounge Relax and spend an intimate evening in this ultra-luxurious setting. Sugar Reef Enjoy your favorite premium cocktail on the beach with stunning views of the Caribbean. Rendezvous Enjoy the finest cocktails in our lobby bar. Open 10 a.m. to 1 a.m.
As part of your Unlimited-Luxury privileges, you now have the option to Sip, Savor and See at nearby participating resorts from 6pm - 1am each evening! Enjoy top-shelf spirits, dinner and live entertainment during your Dining Experience. 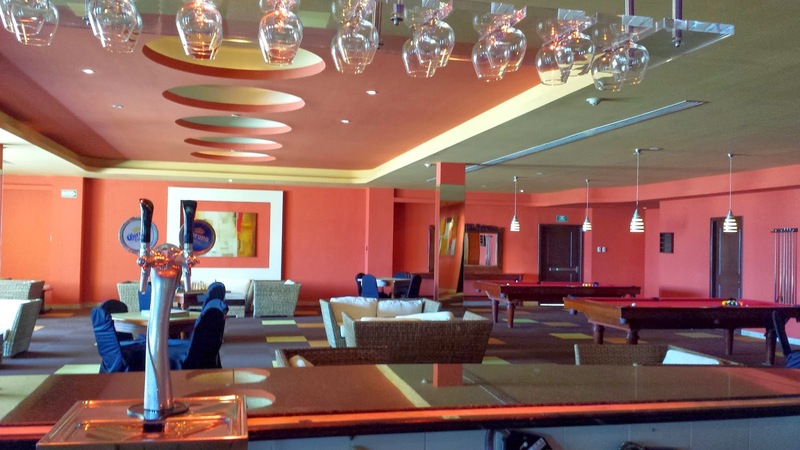 Visit the concierge desk of the resort you are staying at by 3pm to make arrangements. Choose from any of the delectable options from participating resorts below. Have fun discovering what nearby resorts have to offer! Remember, transportation costs are not included. 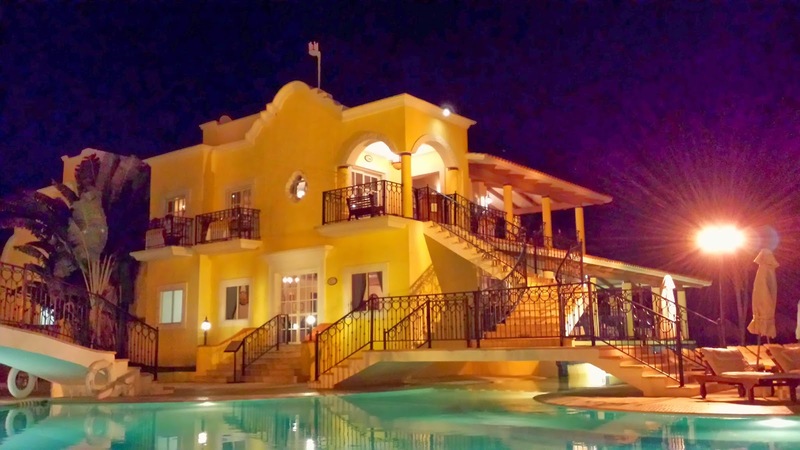 Reservations can be made at the visiting resort for up to 4 people per seating. Holidays and special event restrictions may apply. Mexican Caribbean: Guests of Secrets Capri Riviera Cancun, Secrets Maroma Beach Riviera Cancun, Secrets Silversands Riviera Cancun and Secrets The Vine Cancun can choose to visit and enjoy the Sip, Savor and See Dining Experience at one another and additionally choose to visit Dreams Cancun Resort and Spa, Dreams Riviera Cancun Resort and Spa, Dreams Puerto Aventuras Resort and Spa, Dreams Tulum Resort & Spa, Now Jade Riviera Cancun or Now Sapphire Riviera Cancun. By day, dive, play tennis, work out, sail, surf or snorkel beneath the warmth of the Caribbean sun. Friendly instructors and state of the art equipment are not only availablethey're included. 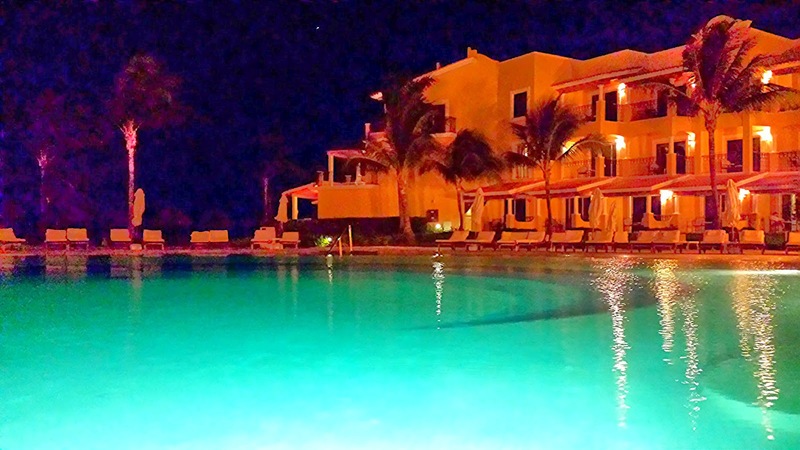 As darkness descends and crickets sing, follow their lead to savor a cigar at sunset or head to the heart of Playa del Carmen or Cancun for all the electrifying excitement of non-stop nightlife. Secrets Capri offers a wide variety of beach, land and water activities throughout each day, including kayaks, snorkeling, sailing, windsurfing, water aerobics, fitness, jogging, billiards, beach volleyball, tennis, and more. 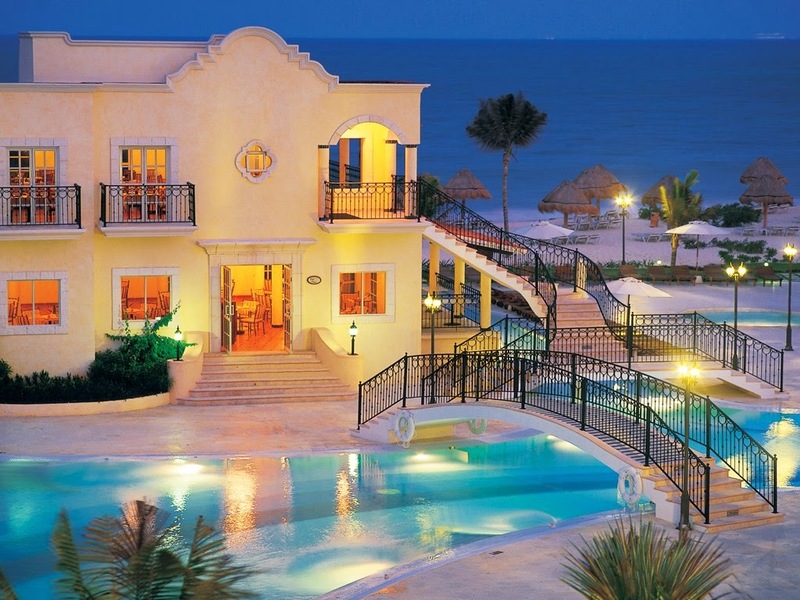 The region features the tranquility of uncrowned beaches, a vast network of underground rivers, the action of eco-adventure sports including mountain biking, scuba diving, trekking, bird watching and deep sea fishing, proximity to many of Mexico's most significant Mayan archeological sites plus golf courses shopping and gourmet dining. Learn to dive in 2 hrs. Daily FREE scuba demonstrations at the pool. Beginner dives PADI certification classes. Dives for all skill levels. Secrets Spa by Pevonia offers a sublime atmosphere of pure indulgence combining hydrotherapy and indigenous treatments creating a refreshing, invigorating and peaceful experience. Stretching over 13,000 sq. ft., situated among the Riviera Maya jungle, Secrets Spa by Pevonia allows for ultimate relaxation and a chance to spoil yourself both physically and spiritually. Visit the trendy spa boutique to bring your luxurious spa experience home with you. The boutique carries a vast array of aromatherapy candles, oils, chimes, body scrubs, creams and contour products as well as prestigious beauty care lines such as Pevonia, Lanza and Gehwol. At Secrets Spa by Pevonia, relaxation comes as naturally as breath itself. With a menu of more than 30 restorative treatments and hydro-therapies to choose from, guests will feel pampered and indulged. The spa features the first one-of-a kind spa garden on the Riviera Maya.